Our “Passive Management” approach to investing aligns us philosophically with index funds. We do not, however, typically use index funds based on S&P, Russell or Dow Jones indices. 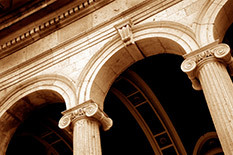 Instead, we often utilize institutional class funds from Dimensional Fund Advisors (DFA) Funds – www.dfaus.com. They utilize a broader universe of stocks in each fund than many of their competitors, with the result that their funds generally more accurately represent each asset class. DFA does not attempt to mimic the return from popular indices, so they are not compelled to buy or sell specific stocks at a time when other index funds are rushing to execute the same transaction.This timing phenomenon creates an unnecessary expense for many index funds, since the index fund manager is required to buy when prices are artificially high and sell when prices are artificially low. DFA is unique in the industry for offering passively managed, asset class-specific funds that are available only to institutions and DFA-approved advisors, such as MCA. MCA is not obligated to use, nor does it derive any benefit from using DFA Funds. We do, in fact, have access to both institutional classes of mutual funds and exchange-traded funds that also have low fees. We have established our advisory firm to be as conflict-free as possible – our only compensation is derived from the asset-based, fixed, or hourly fee that we charge our clients. We also do not pay or receive any referral fees.